TPMS is a very useful safety feature which alerts the driver if a tyre has suffered a significant drop in pressure. It’s been compulsory on all new passenger vehicles since 2014. Like any safety feature, it’s important that your TPMS system is kept serviced and working correctly. A faulty or inoperable TPMS is also an MOT failure. BK Tyres can diagnose TPMS problems with the latest handheld technology. BK Tyres can service and replace Tyre Pressure Monitoring Systems (TPMS) for 90% of vehicles. If your car is showing there’s a TPMS fault — usually by a dashboard warning light — don’t ignore it, call us straightaway. If you’re in Oxfordshire, Berkshire or Buckinghamshire, our fully mobile service will come to you. We’ll then diagnose the problem. Tyre pressure sensors fail for various reasons, including corrosion, sensor battery failure and accidental damage from some forecourt tyre inflaters. Replacing them with a new manufacturer’s sensor usually means an expensive visit to a dealer or independent specialist. The car’s ECU has to be programmed to accept the new sensor. This all takes place while you’re hanging around wasting your day. BK Tyres has a better solution. Using the latest handheld technology, we can clone the old sensor’s data onto a new generic sensor and then fit this as required. This can all be done at your home or work, while you get on with your day. 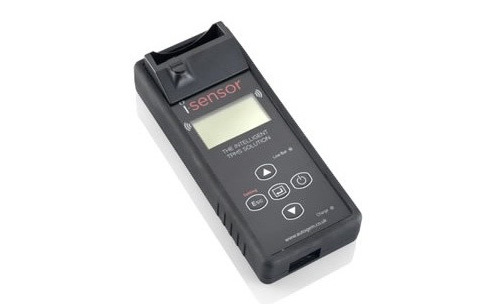 For maximum lifespan, the TPMS sensors should be periodically inspected and serviced. We can carry out this service at the same time that we replace your tyres. Sometimes the only problem with the TPMS turns out to be the valve stem. If so, we can often just replace that, saving you money. For all TPMS enquiries, please get in touch today. We offer an honest, competitively-priced service that our customers rave about.